Sterling Silver threader earrings finally here!!. We've been looking at these for awhile now.. and I love wearing mine, so we decided to add them! 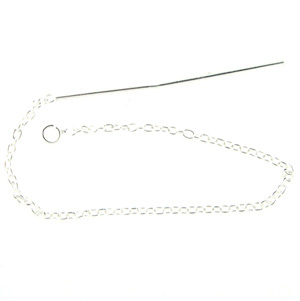 The chain measures approximately 3 inches, the leader post is an additional 1 inch - for an actual total of 4 inches, and have a 2.5mm open ring to dangle your pretties from :) Sold per pair.